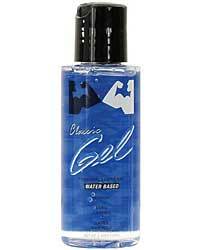 Elbow Grease Classic Gel Personal Lubricant has a soft velvety smooth texture mimicking the body’s own natural lubrication. It is water-based, long lasting, greaseless, safe, latex compatible, odorless and washes of with water leaving no residue on the skin. It does not contain Nonoxynol-9. Keep some handy at all times!